United Islands Prague is a multi-genre music festival, which has been held annually since 2004 on Vltava river islands and adjacent locations in the historical centre of Prague. There they are able to accommodate more music and more people! It will also be a celebration with Prague 8’s Karlín for their 200th anniversary. 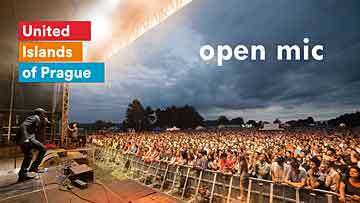 The audience has the opportunity to enjoy the unique atmosphere of live music surrounded by a beautiful environment of parks and pedestrian zones and all for free! At the festival, more than 200 artists will perform on 10 stages. One of the main goals is to present new and progressive artists from the Czech Republic and abroad to a wide audience. With over 200 hundred artists performing over the four days this music festival runs, there are too many to list here! New music trends will be featured along with rock, pop, indie, electronic, world, folk & jazz. Read more about the amazing artists and the full festival program on the United Islands of Prague website. The music festival is accompanied by a host of fun activities for the whole family. Sports activities, a vibrant theatre scene, an NGO square full of interesting stalls and some really fascinating guided tours. Just like the festival, all the tours are for free. And if all this is not enough to entice you to visit Prague over this weekend, there’s also the mighty Metronome Music Festival taking place at the same time. 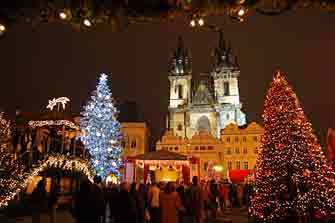 If you would like to stay close to the festival venue, then Hilton Prague Hotel is a great choice. Five stars with spacious rooms and reasonable prices. 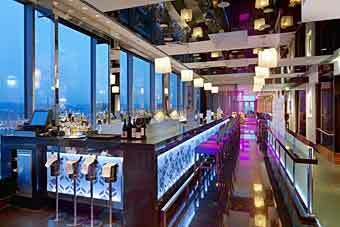 Great bar with a fantastic view and a good gym if you like to exercise. Also a nice swimming-pool and SPA area. The festival island and club venues are all centrally located and easily accessible by foot if you are staying in central Prague.